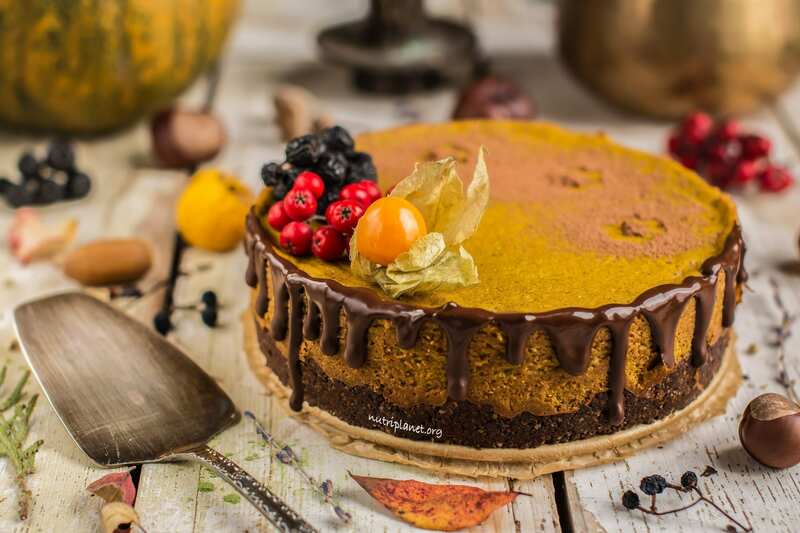 Are you looking for vegan Thanksgiving desserts that would please the whole family? 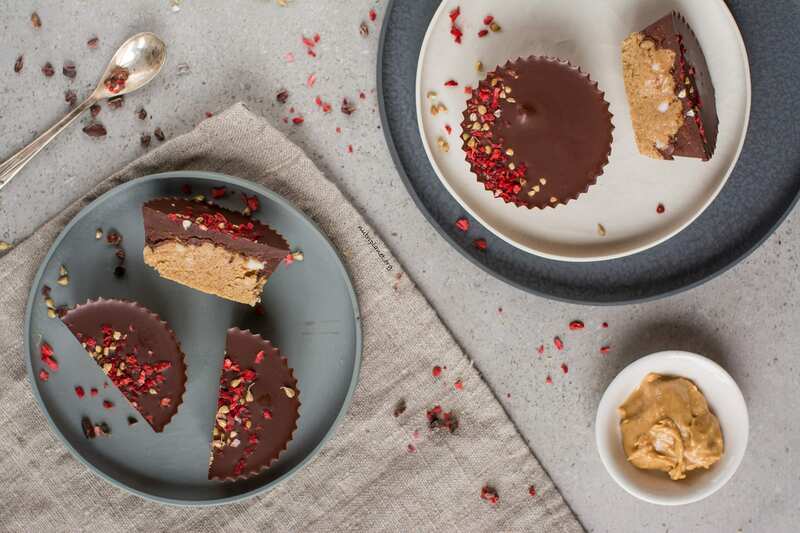 Choose between 13 delicious gluten-free and refined sugar free desserts from chocolate peanut butter cups to pumpkin cheesecake. 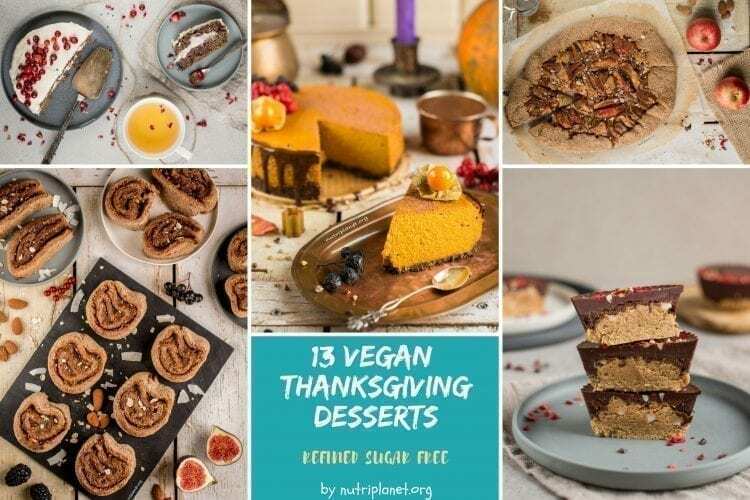 Make sure to check also 43 Vegan Thanksgiving Recipes, 17 Vegan Thanksgiving Sides and Appetizers, and 13 Vegan Thanksgiving Main Dishes. If you’re very full from Thanksgiving dinner, have a small chocolate candy, a chocolate chip cookie or a bite of my peanut butter cups. 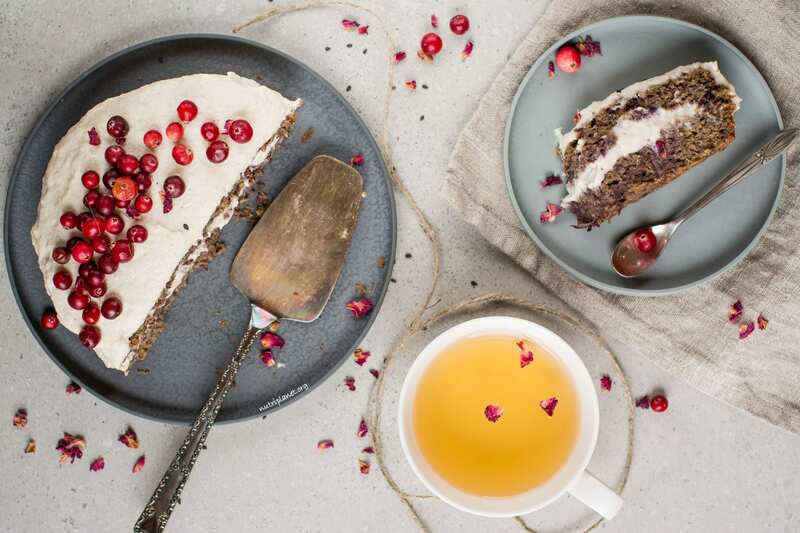 Should you have saved a bigger space for dessert, indulge in a slice of baked or raw cheesecake, rustic apple pie or pumpkin pie, carrot cake with cream cheese frosting, chocolaty chocolate cake, or an insanely delicious cinnamon roll. 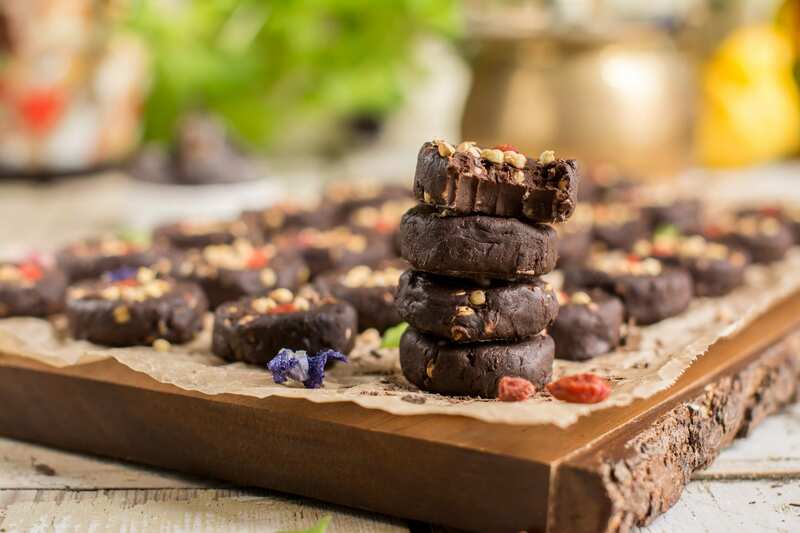 Alternatively, leave your Thanksgiving dessert for breakfast – my chocolate chip blondies, paleo brownies and pumpkin-chia pudding would all make an excellent and nutritious breakfast. All up to you! This vegan carrot cake is by far one of my most favourite sweet treats I’ve created! It’d definitely make a prefect Thanksgiving dessert. Fun fact about those cups is that I gained 1 kg of weight when developing this recipe 🙂 So, please don’t eat 2-3 cups every day for a week! 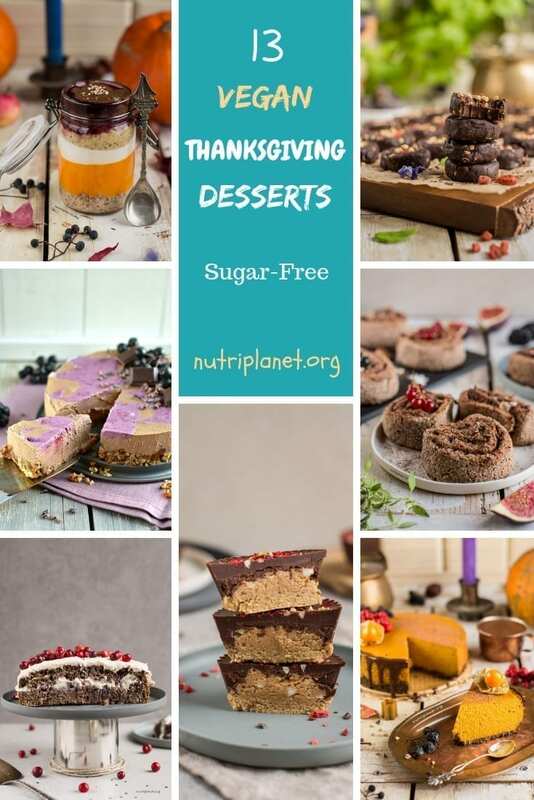 They are definitely an awesome addition to the list of vegan Thanksgiving desserts. 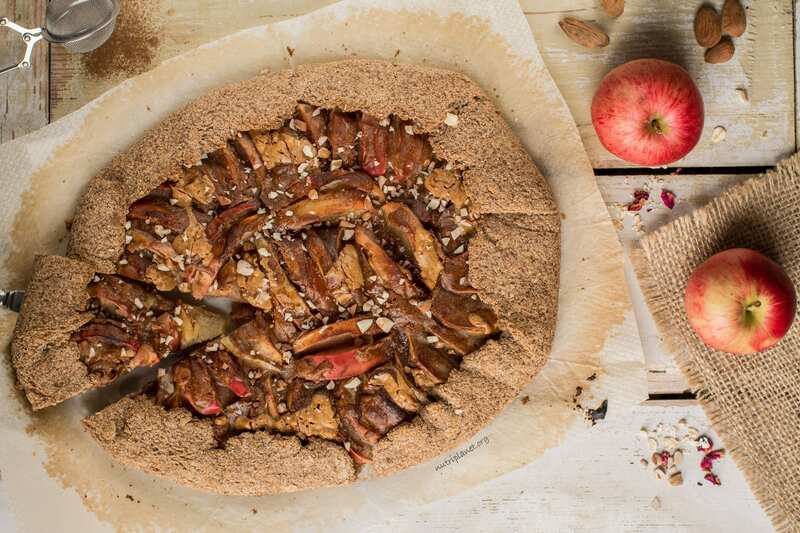 This gluten-free vegan apple pie that will fill your kitchen with heavenly fall flavours. It’s an easy-to-make vegan pie recipe that even beginners can add to their repertoire. It’d be right on spot for Thanksgiving dessert amongst family. 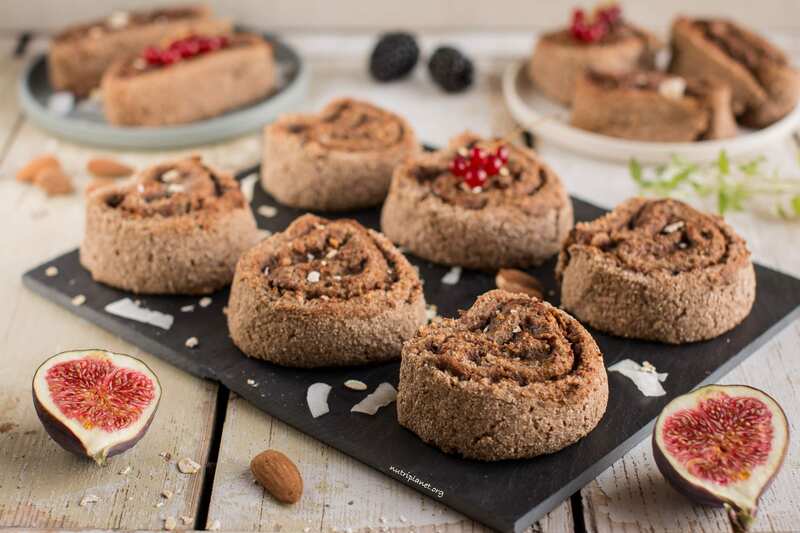 I think that those cinnamon rolls are one of the best recipes I’ve ever created! This recipe uses no refined sugar or vegan butter, but is yet so hearty, moist and filling. 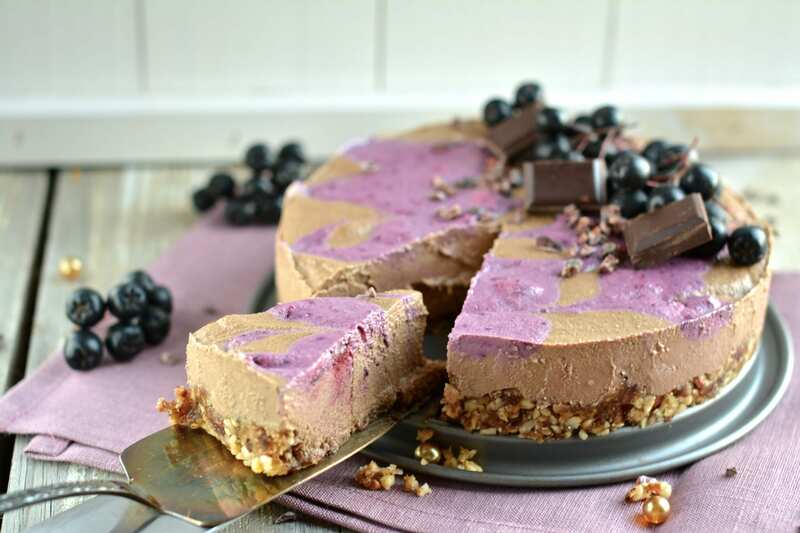 This cheesecake is for everyone looking for more traditional vegan Thanksgiving desserts. After all, it has pumpkin in it! Really full and can’t take another bite? Have one of those soft chocolate candies and you have a perfect ending to your delicious vegan Thanksgiving dinner. Looking for something really simple and lean? This butternut squash pie won’t disappoint you! 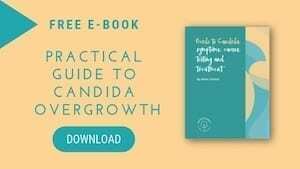 I created this recipe 2 years ago when I was done with my vegan Candida cleanse diet and started to reintroduce foods back into my diet. 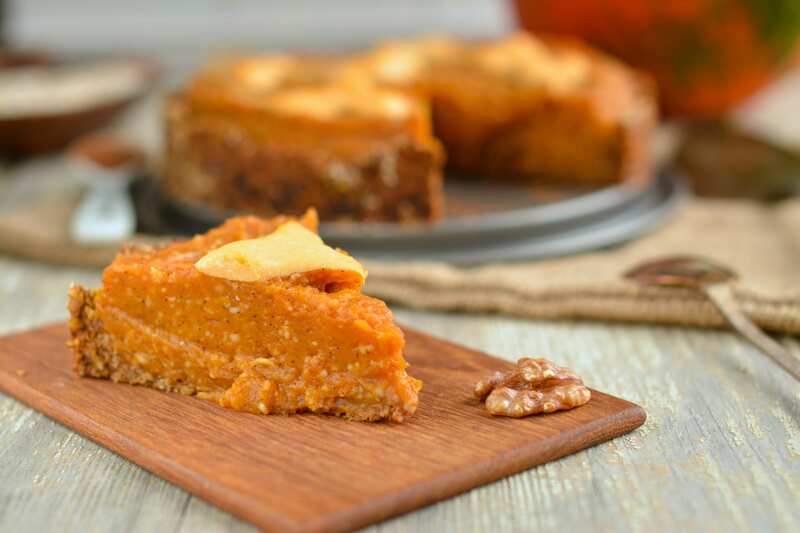 Are you on Candida cleanse and still crave a really hearty and delicious dessert for Thanksgiving? This cake is what you’ve been looking for! Are you into chocolaty treats? Now, it can’t get any more chocolaty than this cake! First, the batter includes cocoa powder and chopped dark chocolate. And finally, the cake is frosted with chocolate sauce. 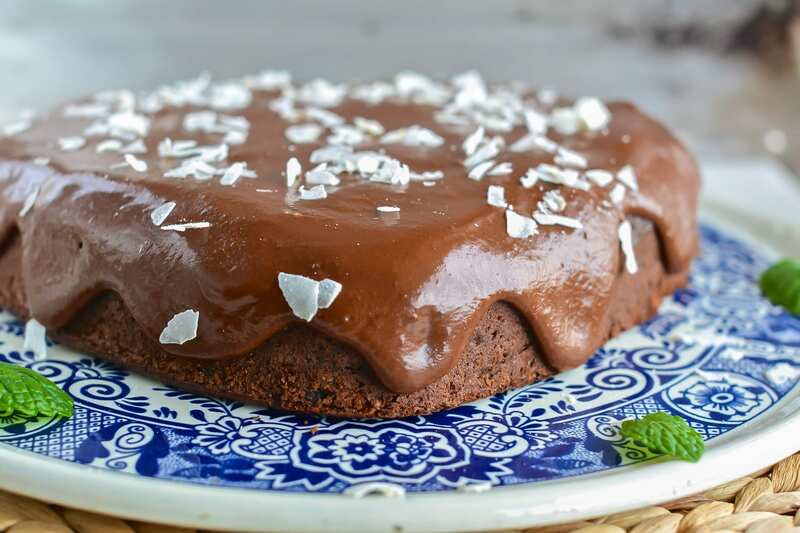 If you suffer from Candida overgrowth, use my Healthy Chocolate Sauce as frosting. 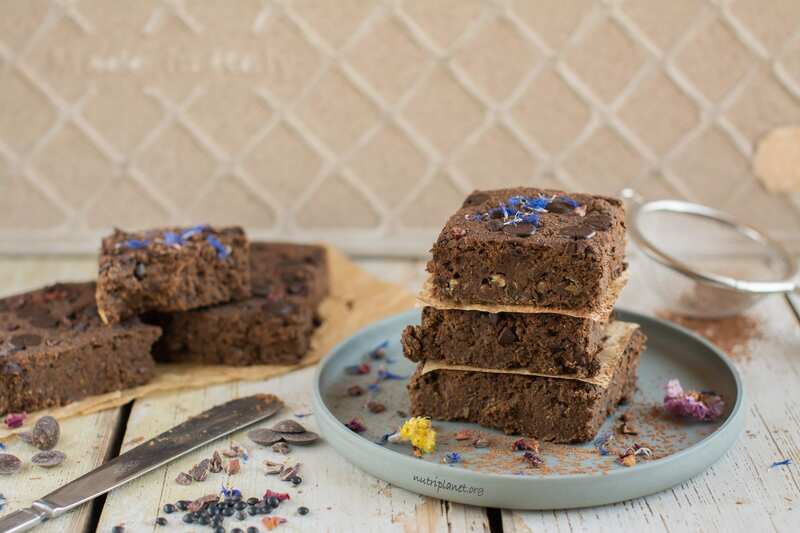 Have you ever used sprouted lentils to make brownies? Now’s your chance! I don’t think a dessert could be healthier than that. 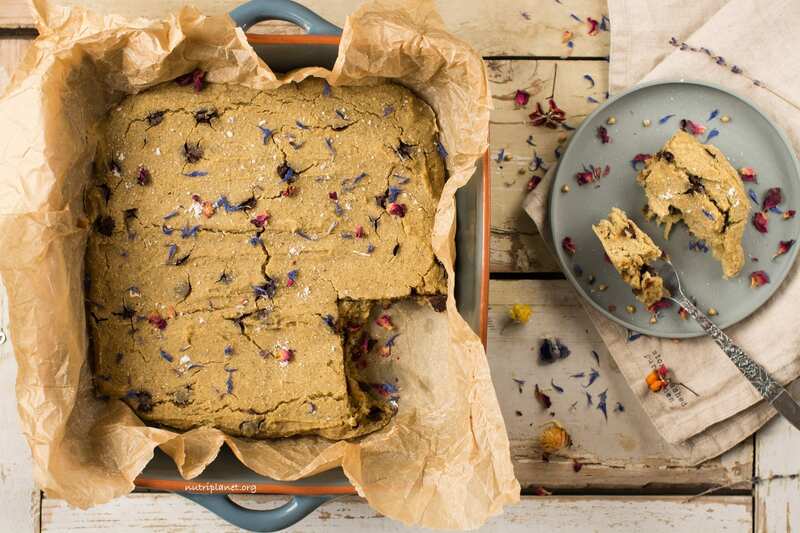 You can’t go wrong with gluten-free vegan blondies with chocolate chips, right? To make it more decadent, have those blondies with my Caramel Sauce or Chocolate Sauce. 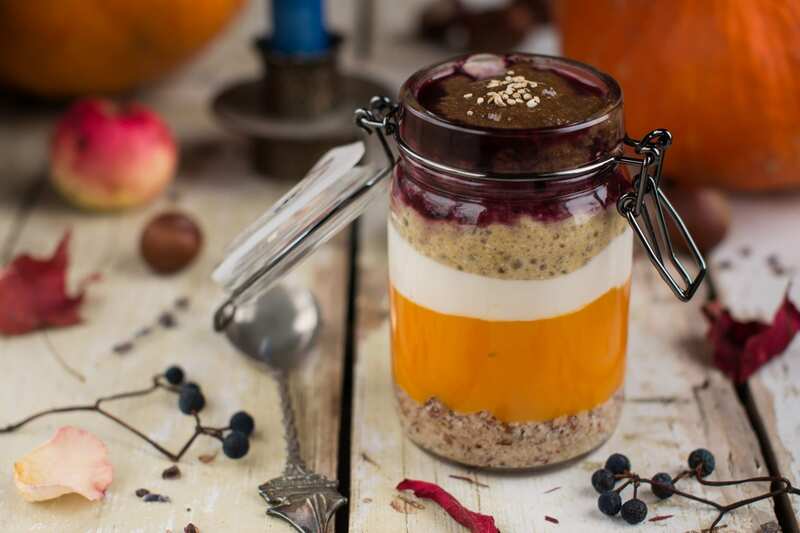 Save your omega-3 intake for dessert and have this delicious pumpkin chia pudding with layers of ground nuts or seeds and plain soy yogurt. Alternatively skip dessert and leave it for nutritious post Thanksgiving breakfast. 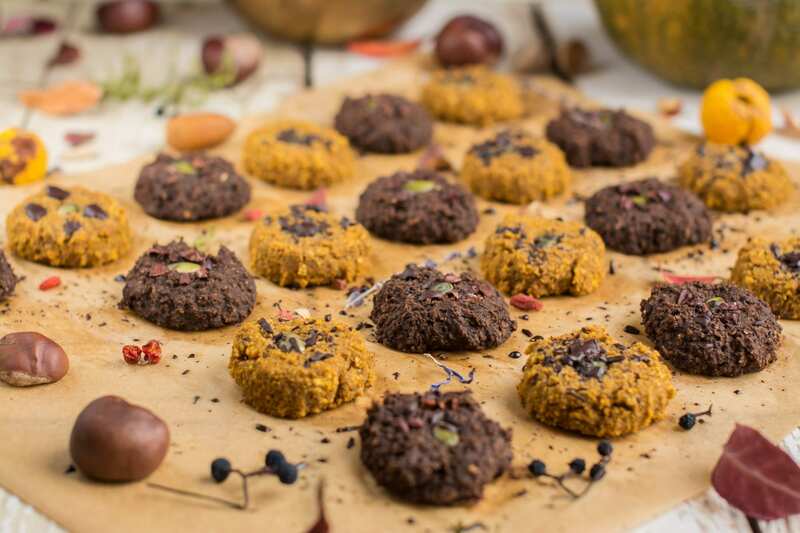 Imagine how delicious those cookies would be with a cup of tea or hot cocoa! I think they are a much needed addition to vegan Thanksgiving desserts.